If you wish to place a bid on an auction item before the event please browse through what will be on offer and place a bid via email. April was recently featured in the STM as one of Western Australia’s TOP 100 people, places and trends to shape 2017. This bespoke journey for the commissioning of a unique sculpture, will be 1 of only 2 April is offering this year. Any 2 of your personal images printed on canvas. Size 590mm x 840mm, 30mm folded edge. Elba is a great place to entertain your clients or the perfect venue to catch up with friends. This package can be used for a champagne filled afternoon with a few close friends or important clients or a sophisticated small function offering cocktail canapés and premium wines. The choice is yours! The official Clash Guernsey commemorates the Fremantle Football Club’s 2018 season. It is personally signed by the 2018 playing squad and senior coach, and officially licensed by the Australian Football League. Conditions: the successful bidder must be available on the date and time of the 2019 official AFL team photo (likely to be held in January or February 2019). A corporate team building package for up to 40 guests, valued at over $1,600. Come and try the exciting ice sport of curling! No skating required! You will receive expert coaching and all equipment will be provided for a 2 hour team building session with a difference! Make a day of it and enjoy a food and beverage package for your guests at our licensed bar and restaurant, Cabin 401 Bar and Grill. Terms and Conditions: Additional guests may be added at an extra cost. Food and beverages are not included. Terms and conditions; Selected booking times available, depending on existing ice programming. Specific slots available on Wednesdays before 4pm and Saturdays from 5pm – 7pm, however we will do our best to accommodate your required schedule. Offered at your nominated venue for up to 20 guests. It could be a corporate Friday afternoon gin tasting at your workplace, or a private tasting with friends in your home. This tasting will be hosted by Old Young’s Founder and Distiller, James Young. This package includes an introduction to gin and a discussion of current trends, plus the provision of premium gin selections for the tasting, complemented by mixers and garnishes. Also included is a bottle of gin for the door prize. SKYN is Perth’s Premier Medical Skin Aesthetics Destination with a focus on revolutionary technologies and proprietary therapies. SKYN provides a seamlessly integrated approach to total skin transformation. 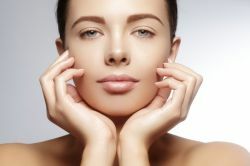 Treat yourself to Skin by SKYN treatments, chemical peels, micro, skin rejuvenation, INFINI, needling, hair removal etc. The voucher will exclude medical treatments such as injectables as per APHRA regulations on offering medical procedures or any treatment administered by a doctor. Since 1999 Function Concepts has established itself as one of the premier event caterers in WA. A 2 Hour cocktail party or corporate sundowner for 30 guests in your own home or office. Guests will enjoy a selection of canapés by Function Concepts including 2 x staff for up to 2 hours to cook and serve food and drinks. This packag includes an assortment of 12x premium wines. Terms and conditions; Valid for 12 months from date of purchase. Subject to availability at the time of booking. Drew Straker “The Muralist” is a nationally recognised Perth based mural and graffiti artist. He has been creating and painting murals for over 15 years. Straker’s work with public art has been a common practice since his early teens. Primarily using spray cans as his medium Drew creates artworks in a variety of styles whilst maintain his graffiti based roots. Suite provides premium viewing and includes a fully catered four hour package. Tickets are for the Round 23 Fixture which will be played over the weekend commencing Friday 24th August 2018.